We continue introdusing you with the most popular BELATRA´s games, which are available online now. Already there were reviews on the slot machine Piggy Bank (play online), Alcatraz online (play for free and without registration) and many others. And today we will speak about the game which is the main symbol of BELATRA GAMES. 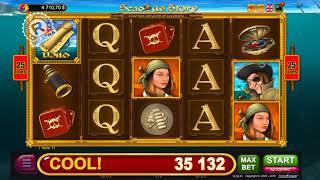 Meet the online version of the super popular slot - Lucky Drink! Cheerful, bright and incredibly charismatic Davil invites all lovers of excitement to look to him after a couple of beer glasses and check his fortune! To do this, the crafty devil prepared a lot of original games and bonuses for you. 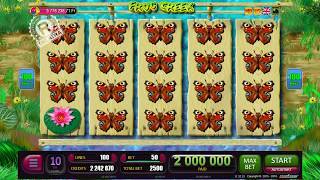 15 game lines, 5 reels of 3 characters, funny characters and original sound design - these are the components of an excellent slot, which hasn’t lost popularity for more than 15 years. A nice addition to this game is that combinations on the reels, from left to right, and right to left, both can be winning! And by tradition, like all BELATRA´s games, Lucky Drink is available in 11 languages, including Turkish and Dutch, not to mention classical European languages. 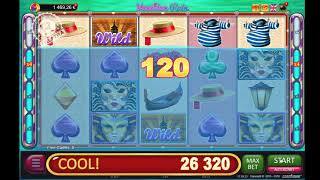 Now you can play in the slot machine Lucky Drink online for free and without registration! Bonus has several stages. To begin with, in order to get it, you need to literally drunk to hell! Do not be surprised if after a couple of glasses of beer a devil meets to you! 3, 4 or even 5 "Devils" on any positions on the reels bring a bonus game. At the first stage you will see 5 barrels. You can look at any of them. There may be different items in the barrels that bring different winnings, or the symbol “It's all over” that means that all the remaining barrels should explode. The second stage of the bonus comes when no one unopened barrel not remain. Here you can multiply the win received for each of the items or reset it. Open dishes, boxes, hats, wallets and depending on their contents you can get your honestly earned winnings. 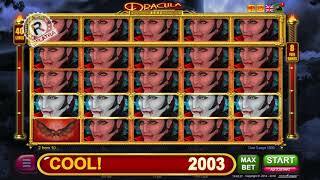 It´s easy to double the winnings obtained in the bonus - just enough to play with the devil in his risk-game. Choose the color of the card and if it turns out to be correct - duplicate the winnings! But even if the bonus hasn’t fallen to you yet and you want to try the double, play in the same risk game after any win in the main game! Choose which card will be the next - red or black - and get a super-win! Online slot machines from BELATRA replenished with a new slot - play in the atmospheric Lucky Drink slot, remember the good old days and get a great win!